We had an awesome wedding. Full of fun, laughter, love…and yes…a big surprise! And while I know we’ll get around to writing our version of our wedding story on the blog at some point in the near future, I thought it would be a good idea to at least link to a place where our story was told for us. Cindy Lund is the owner of Cindy Lund Photography, an AMAZING photographer, and a great friend of ours! She’s the one behind all the professional photos of us on this site, our engagement photos, and our wedding! We aren’t fans of a lot of the traditional aspects of a wedding and decided against having them, but the photography was definitely not one of them! 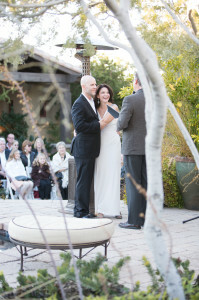 So here’s Cindy’s blog post (with lots of photos) from our big day on January 12, 2013. Enjoy Cindy’s blog post here.